IMPORTANT: We are actively buying but are no longer doing print fairs. All of our new inventory will be showcased first in email "Blasts" and shown on our "Current Catalog" page. (You can sign up for these emails at the bottom of this page). Recipients of the email blasts will see our newest items first. Those who know us understand that we offer unusual items, fairly priced. 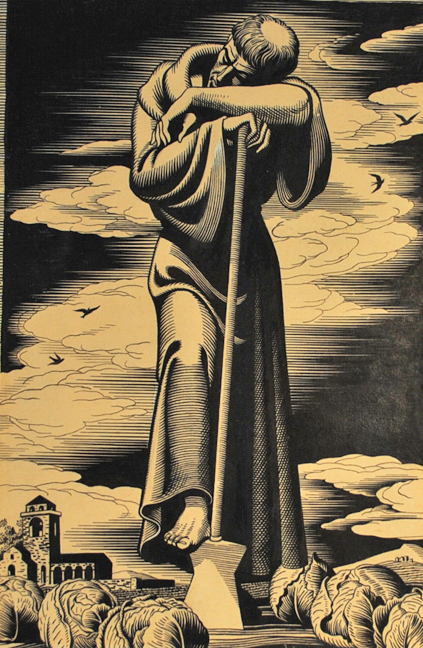 "FORGOTTEN THINGS," wood engraving, 1942, PCC21, ed. 200, 8 x 11 1/4.” Signed in pencil. $450. Print Club of Cleveland Publication No. 21 for 1943 and with original label. Very faint toning in old mat opening. 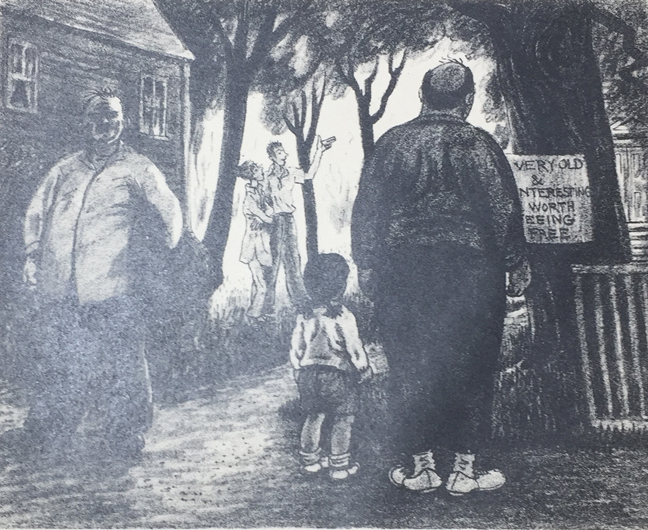 "THE SIGHTS OF TOWN*," lithograph, 1946, F151, ed. 250, 8 1/4 x 10 3/8.” Signed in pencil. $175. *A view on Cape Cod--either Provincetown or Wellfleet--exhibiting Bacon’s wry humor. (That's the flash from the camera in the left side of the image). 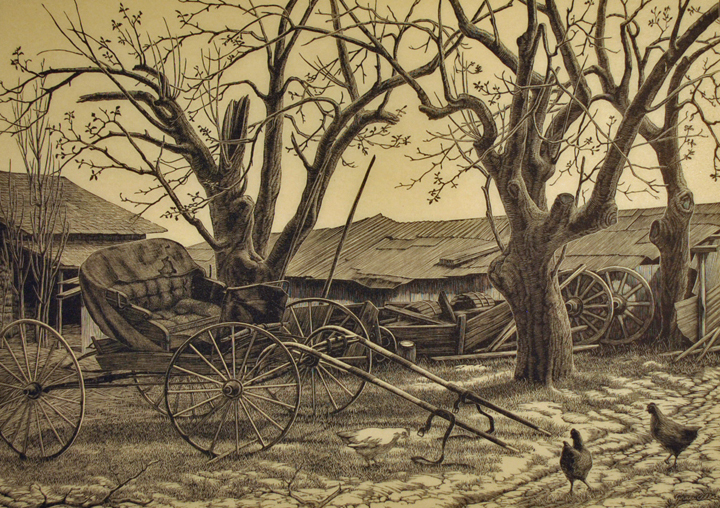 "AUGUST," etching, 1940, S84, ed. 100, 9 3/4 x 7 7/8.” Signed in pencil. $350. 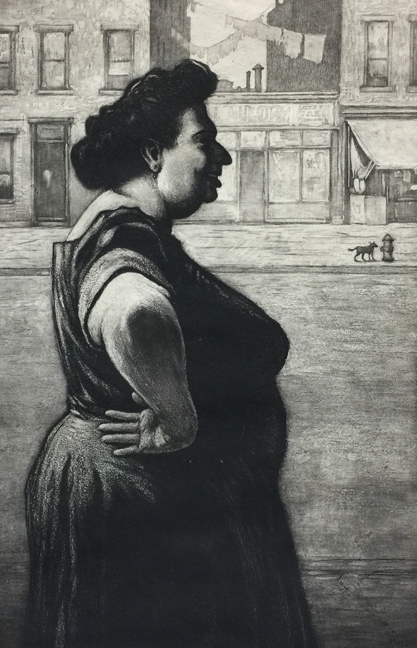 "ALERT," drypoint, 1925, F242, ed. 150, 4 7/8 x 6 7/8.” Signed in pencil. $395. 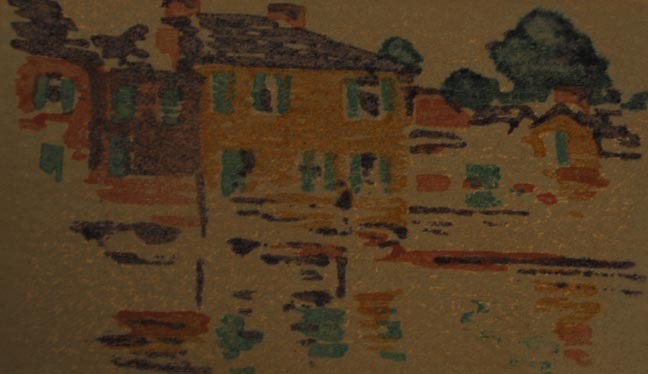 “RIVER RELECTION," color woodcut, c. 1910, ed. small, 11 x 8 1/8.” Unsigned as is most common. $2950. This is a good example of how Dow liked to vary the coloration of the same blocks to create a wholly different mood, time of day or season. Provenance: from the estate of an heir of the artist. 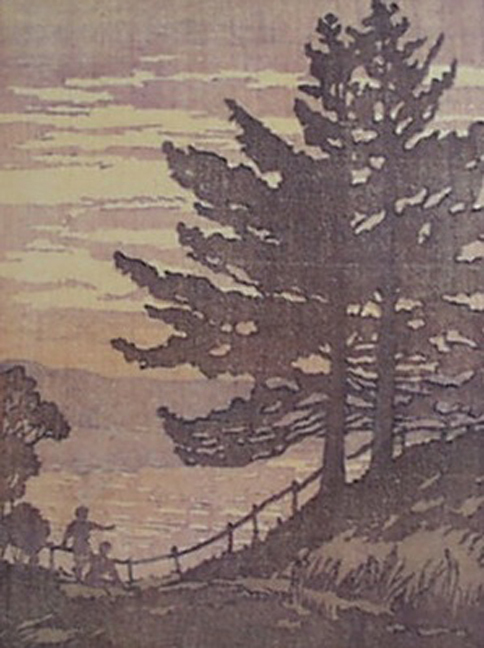 “RIVER RELECTION," color woodcut, c. 1910, ed. small, 11 x 8 1/8.” Unsigned as is most common. $2950. This is a good example of how Dow liked to vary the coloration of the same blocks to create a wholly different mood, time of day or season. 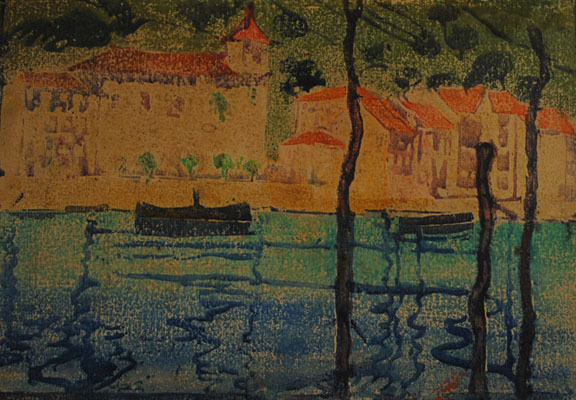 Provenance: From the artist’s estate. 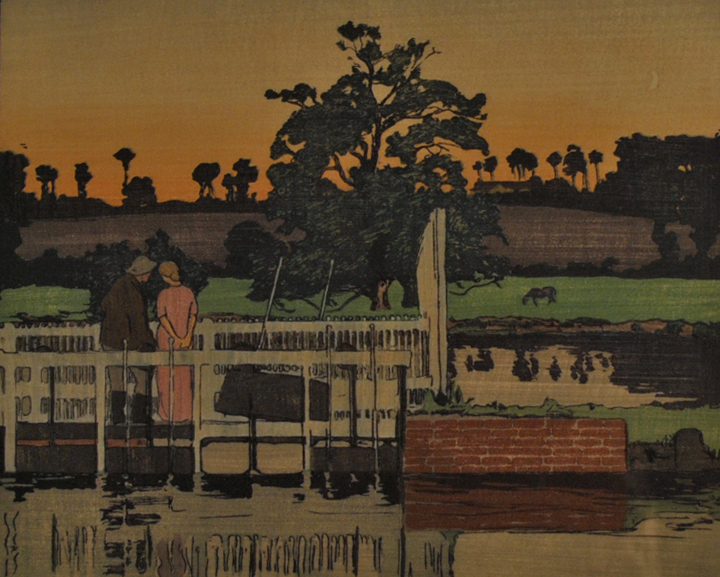 "FLOODGATES," color woodcut, 1899, ed. 80, 8 x 10.” Signed in pencil. $4750. 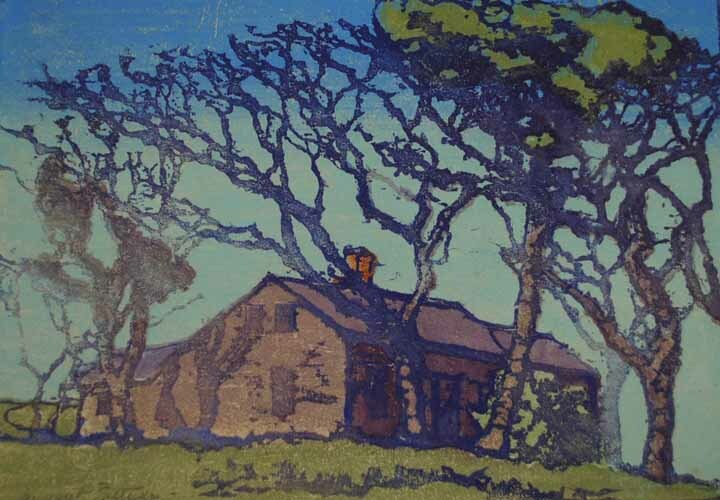 Fletcher, the Arthur Wesley Dow of Great Britain, moved to Santa Barbara in 1923 and started the Santa Barbara School of the Arts. Works by this artist are important, uncommon and highly sought after. 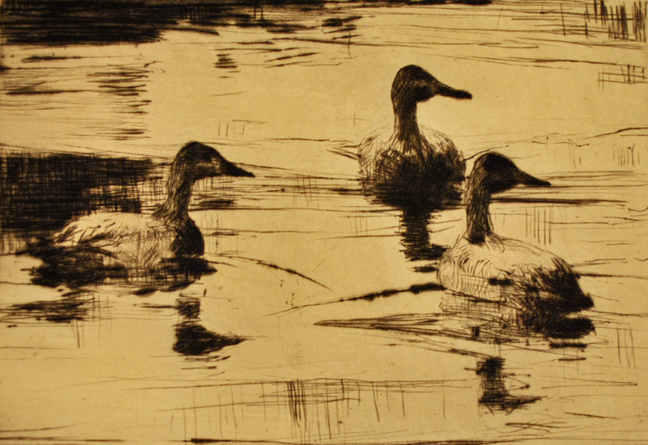 He taught, among others, Nordfeldt and, indirectly (via his book, Woodblock Printing), the Chase brothers. Wonderful colors! Light toning, bottom margin which is not uncommon. 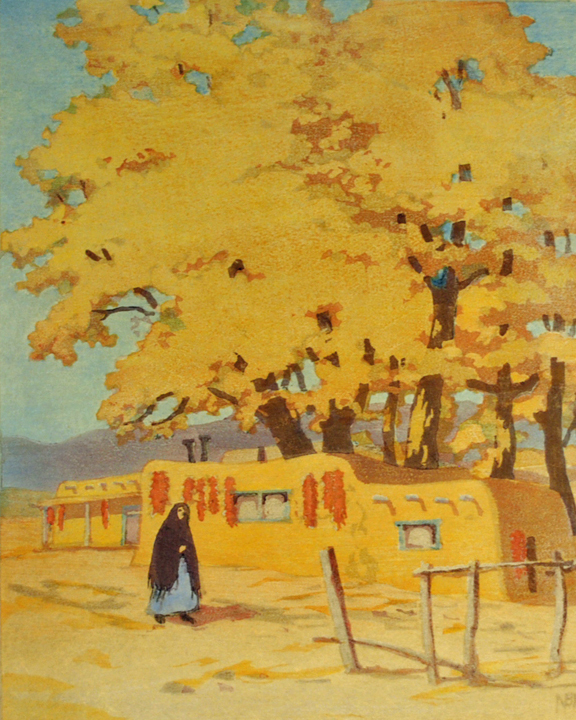 “OCTOBER IN SANTA FE, color woodcut, 1948 ,P86, ed. 100, 10 x 8.” Signed in pencil. $2950. 9th Presentation Print for the American Color Print Society and with the original folder cover. 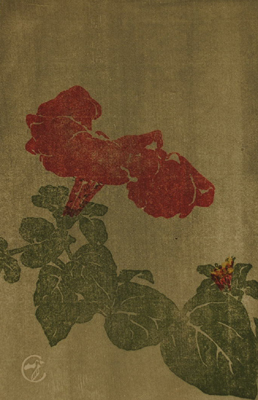 "PETUNIA,," color woodcut, 1907-8, V51ii, 7 x 4 1/2." Signed with chop mark in block only. $750. Upper right corner clipped, well out of image area. Judson was a member of the Boston Society of Arts & Crafts; elected a Craftsman in 1930 and promoted to Mastership in 1932. “GORGE OF THE GENESEE, NO. 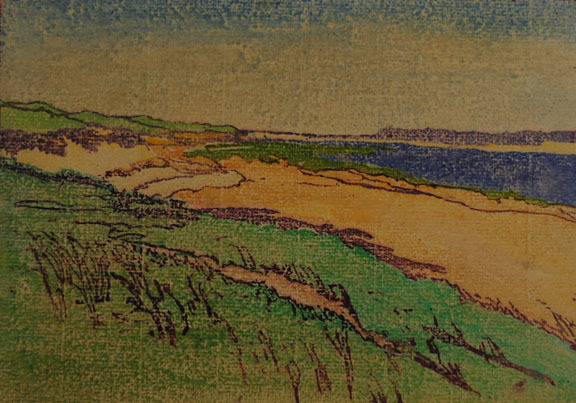 2," color woodcut, c. 1925-30, ed. 100, 6 x 8.” Signed in pencil. $1350. 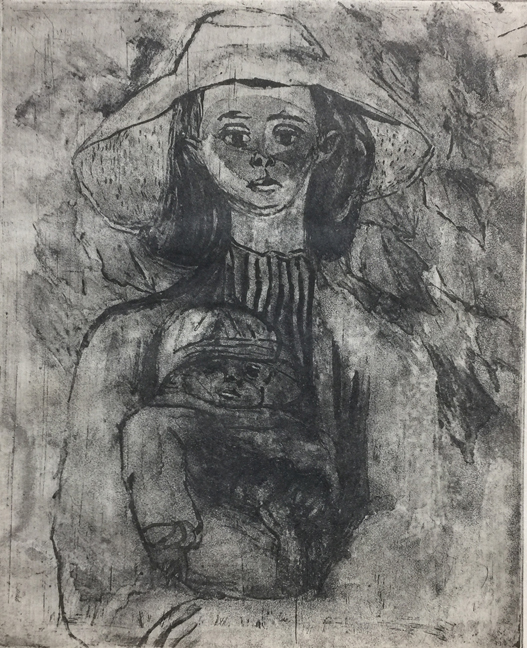 Judson studied at Pratt Institute in New York (where Dow taught but it has not been established if she studied with him) and studied woodblock printing with the British master, Allen Seaby in England. Judson was a member of the Boston Society of Arts & Crafts; elected a Craftsman in 1930 and promoted to Mastership in 1932. 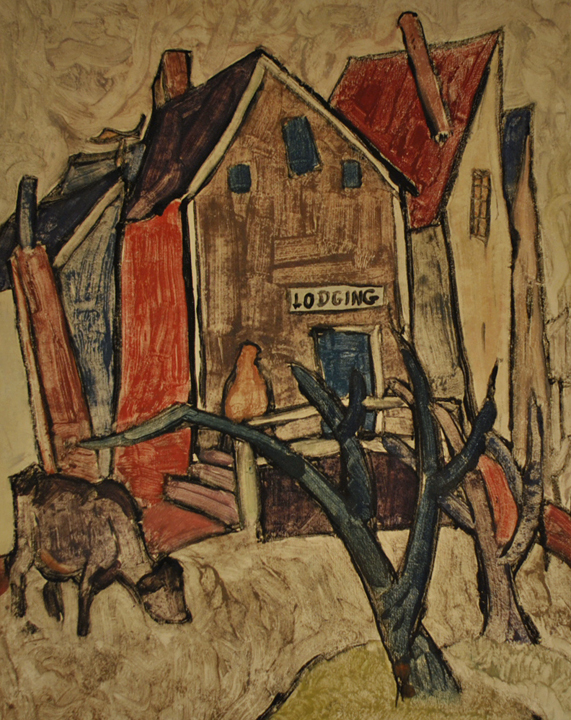 “LODGING,” monotype in colors, c. 1917-20, 14 3/4 x 11 3/4.” Signed in pencil. $3750. Fabulous colors and impression. 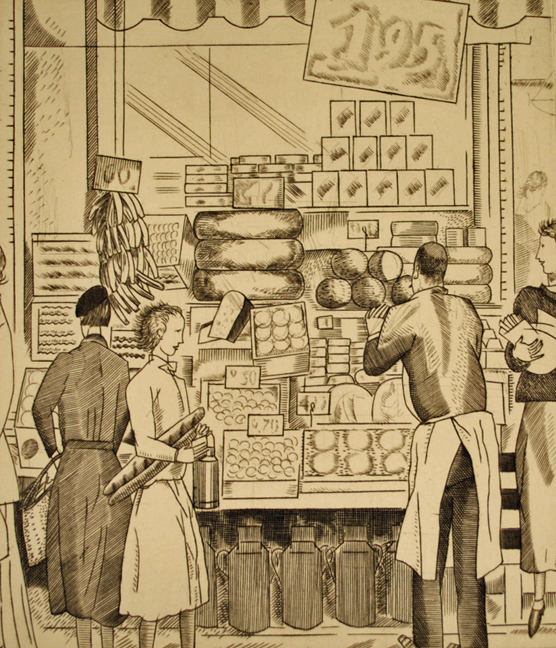 “LA BOUTIQUE DU CREMIER,” engraving, 1937, L526, ed. 100, 5 7/8 x 5 1/8.” Signed in pencil. $450. With the blind stamp of the Peintres Graveurs Français. One small tape stain left margin edge, verso. With a label from the Crocker Galleries, San Francisco. “BOSS OF THE BLOCK,” etching & aquatint, c. 1939, M128, ed. c. 212, 10 7/8 x 7 5/8.” Signed in pencil. $1650. 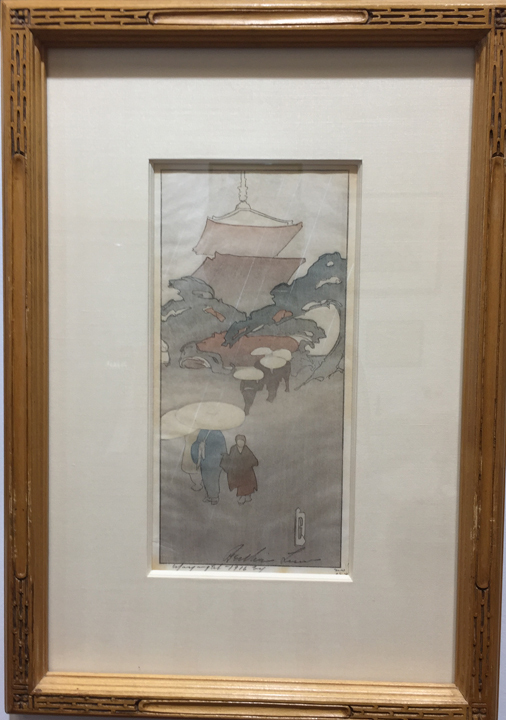 “TEMPLE IN RAIN,” color woodcut, 1916, GP48, ed. > 89, 10 1/4 x 4 3/4.” Signed in pencil. $1450. Also known as “Pagoda in Rain.” Provenance: Hirschl & Adler Galleries, New York. In a nice Arts & Crafts style gilt frame. 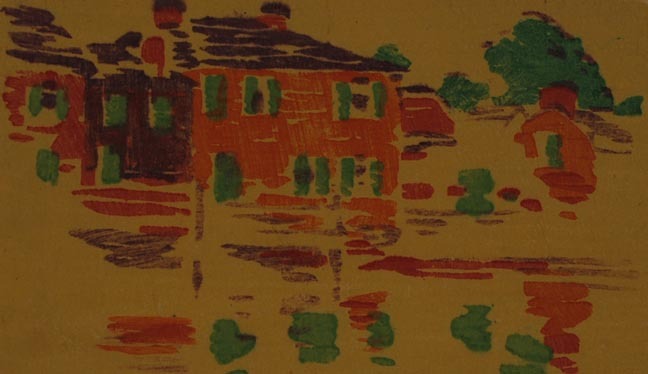 Another impression of this print is in the collection of the Brooklyn Museum. 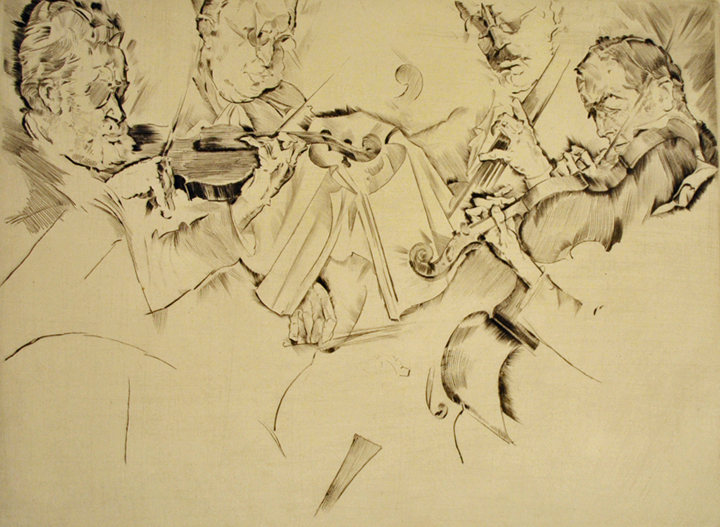 "ROSENQUARTETT," etching, ed. 50, 9 1/4 x 12 1/4.” Signed in pencil. $950. Large margins, irregular cut on right side. 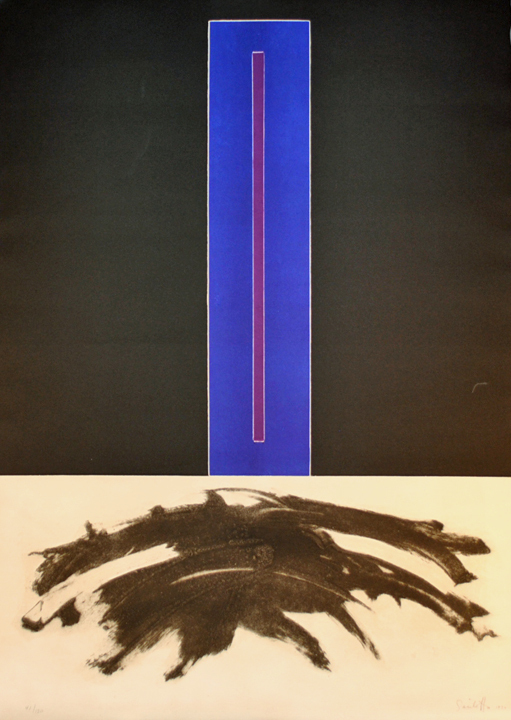 ABSTRACT COMPOSITION, color lithograph, 1970, ed. 41/120, 29 1/2 x 21” (sheet). Signed in pencil. $495. The artist was part of a group exhibit in 1967 at MOMA, “Canada ‘67” and has written extensively on the printmaking process.He has worked in New York and this print looks similar to other works of his from his "Bowery Series II." 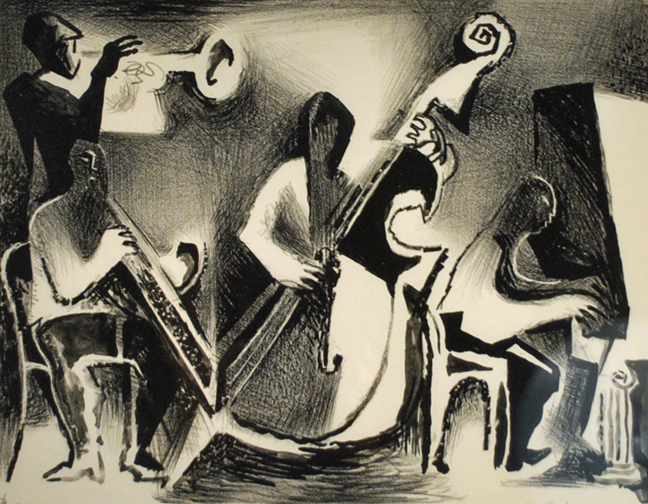 “THE BLUES," lithograph, 1936, ed. 25, 9 3/4 x 12 3/4.” Signed in pencil. $1250. 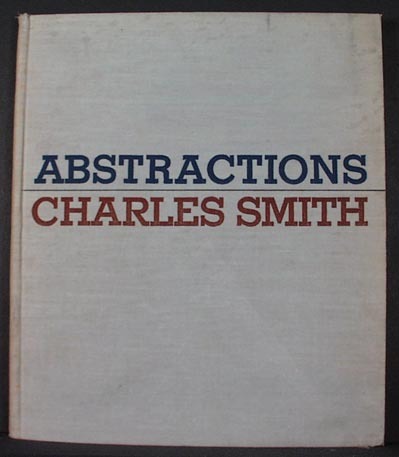 ABSTRACTIONS, [Book w/ 6 orig. 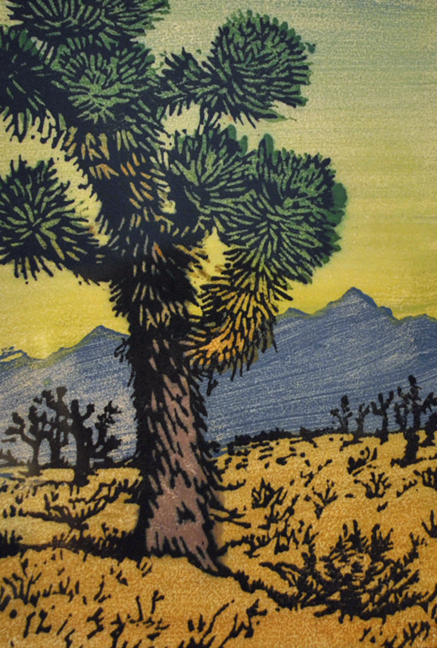 color woodcuts], ed. 250, 10 x 8 1/2.” Unsigned as issued. $2,400. The artist’s landmark book, published in 1939 by the Johnson Publishing Company, New York. With 6 original abstract color woodcuts bound in. Prints are unsigned, as usual. Another copy of this work is in the collection of the Library of Congress. 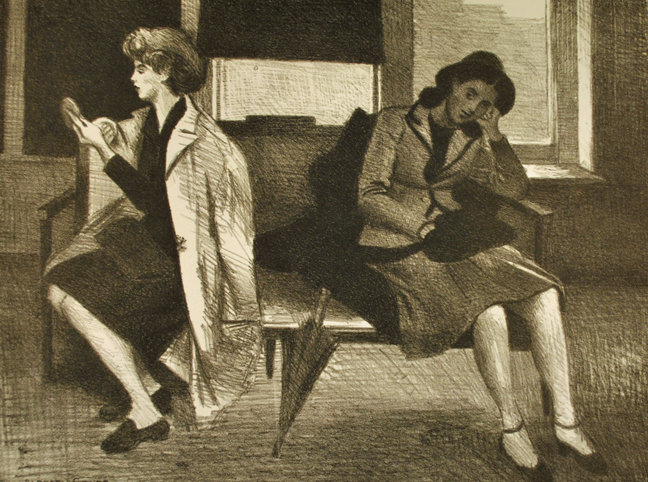 “CASTING OFFICE," lithograph, 1945, C65, ed. 250, 9 3/4 x 12 3/4.” Signed in pencil. $750. 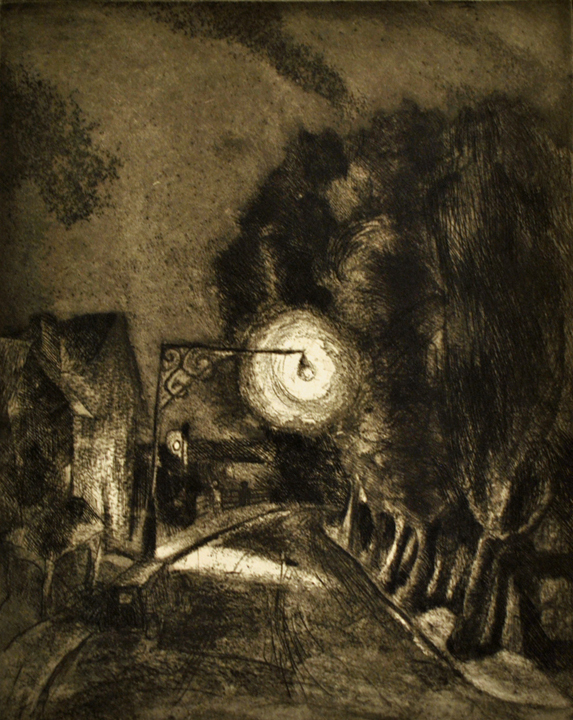 “NOCTURNE," etching & aquatint, c. 1935-39*, 10 x 8.” Signed in pencil. $750. *I have seen an impression of this image stamped with the Federal Art Project, WPA NY stamp (this impression is not stamped). 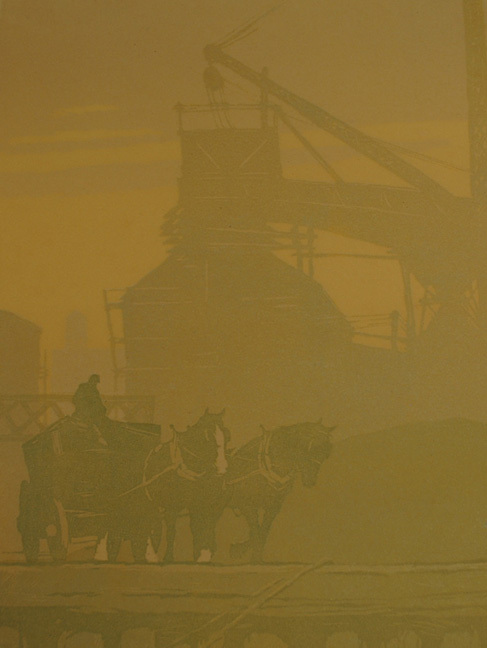 “COAL YARD,” color linocut, ed. 60/100, 9 1/8 x 7 7/8.” Signed in pencil. $650. Very faint mat line, matted out. Few specks of light foxing in the margins. Good colors in this very atmospheric image.